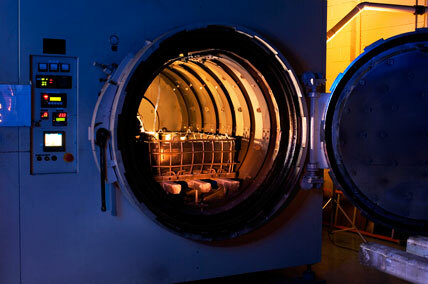 Vacuum annealing alters the physical properties of rare earth alloys and metal alloys. Depending on the materials and the conditions, vacuum annealing can be used to alter strength, ductility or other properties. Rare earth alloy castings, for example, are loaded onto a trolley and rolled into the annealing furnace. Once oxygen is removed, the temperature is increased and the parts are held for a period of time to modify the alloy microstructure.